Above. 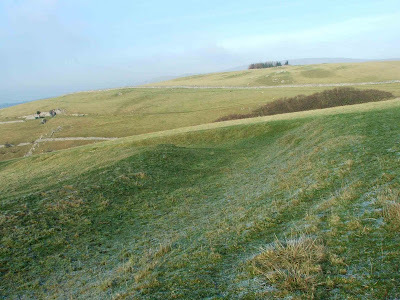 A view across the top of the earthworks, looking North. The site is thought to be an Iron Age defended enclosure. It covers about an acre and a half, and is surrounded by earthworks. At the lower end of the site, the earthworks are worn and low, whilst at the top, they are very well defined and up to a foot high. 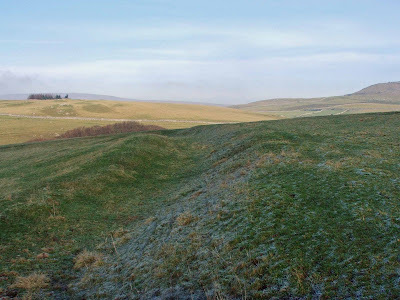 The defences at the top of the site are also double ditched with shallow ramparts…possibly the remains of entrances. Above. View towards Ingleborough, looking North East. 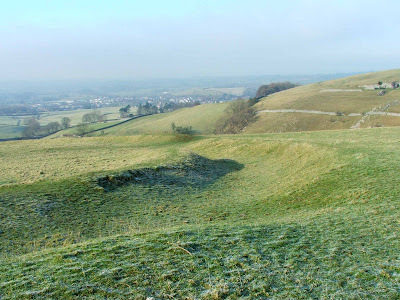 The site has been excavated and investigated, but no signs of habitation were found within the earthworks. Stone was discovered beneath the earth ramparts, but was not datable. Above. Looking across the earthworks towards Ingleton. 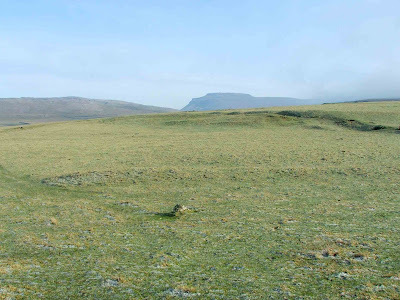 It is assumed that this site is similar in age to the fort on top of Ingleborough, ie Brigantian, although where this assumption came from, I'm not sure. Above. View across the earthworks looking North West. Above. Another view across the earthworks looking towards Ingelborough. The site is very near to various medieval field systems surviving as earthworks and iron age\roman hut circles and enclosures.